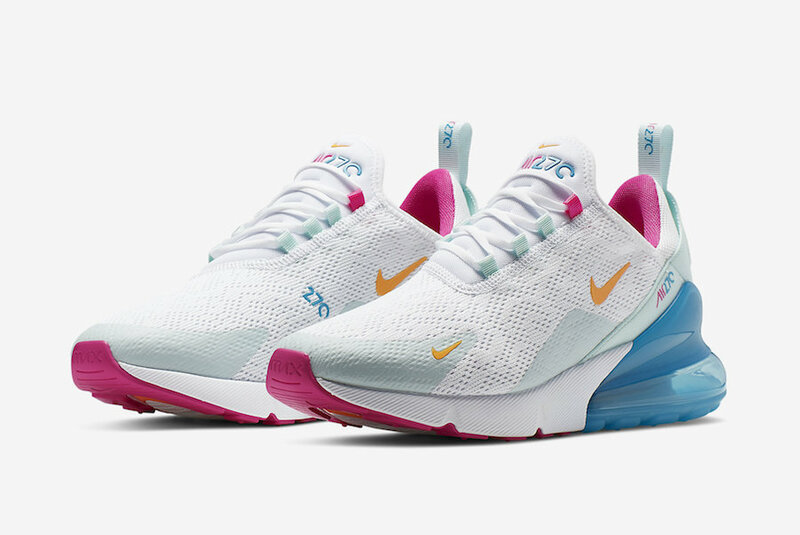 Nike expands their women’s lineup with a brand new clean iteration of the Air Max 270 that would be perfect to wear on Easter Sunday. Dressed in a White, Laser Fuchsia, Teal Tint, and Blue Fury color scheme. This release features a White mesh upper highlighted with Pink, Teal, Orange, and Blue contrasting accents. 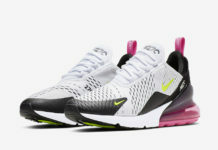 Check out the official photos below, and you can pickup this new Air Max 270 on Nike.com. The retail price tag is set at $150 USD.